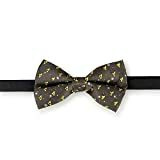 When you wear one of these cool new Star Trek Ties to the office, only your fellow Trekkies, Trekkers, geeks, nerds, dorks and more will notice your impeccable 23rd century style. 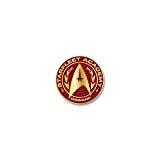 These futuristic, yet professional Starfleet approved neckties are made from high quality double-knit nylon in colors that have matched with archived and preserved fabric swatches from the original 1969 Star Trek television series uniforms. They come in gold (Command), blue (Science), or red (Engineering/Security/Communications/Expendable), have a tiny Enterprise delta shield insignia at the bottom and are officially licensed Star Trek collectibles. 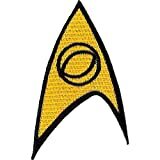 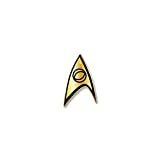 Ata-Boy Star Trek Starfleet Academy Command Insignia 1 / 2"